Can your little one snap like a crocodile, or stretch up tall like a giraffe? 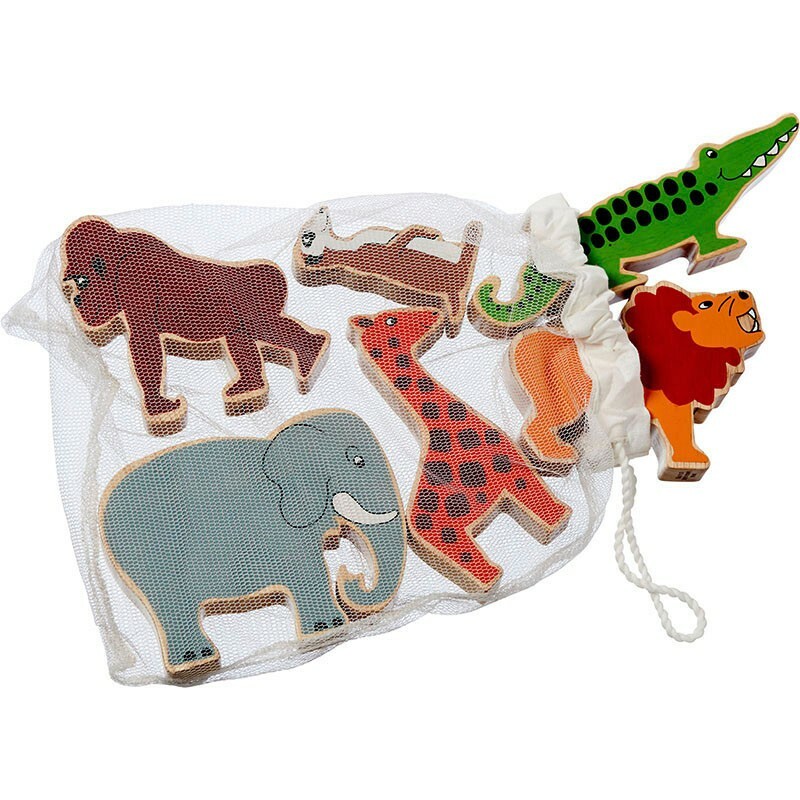 This bag of 6 Lanka Kade world animals is just waiting for your child to play with them. Set up a savannah scene, make the animal noises and have fun learning through play. This colourful set is great for montessori settings, where role play and open-ended play is key. The handy bag also encourages your tot to tidy up once playtime is finished. Each bag features 6 animals from the Lanka Kade natural painted world animals collection. These have been painted on each side, but leave the top and a little border to show off the gorgeous natural grain of the wood. Hand-crafted from sustainably managed rubberwood.